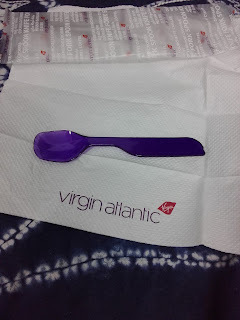 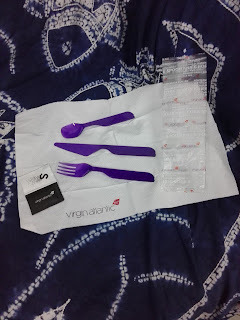 I am posting this because the cutlery on Virgin Atlantic was impressive. 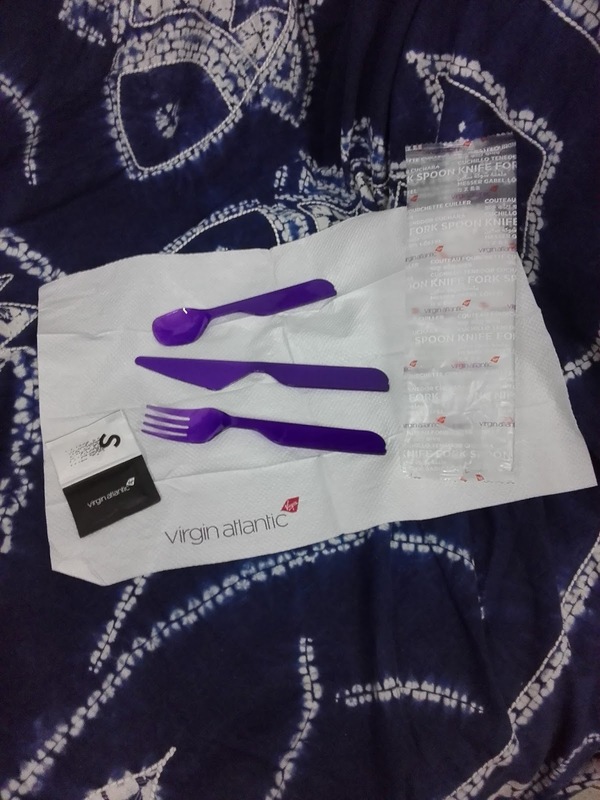 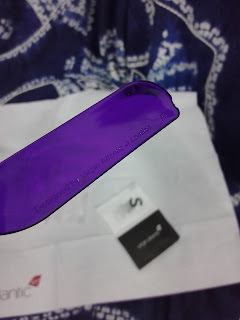 The plastic cutlery was a clear dark purple. On the handle it says "Designed by Virgin Atlantic in London" but unfortunately it was hard to photograph. 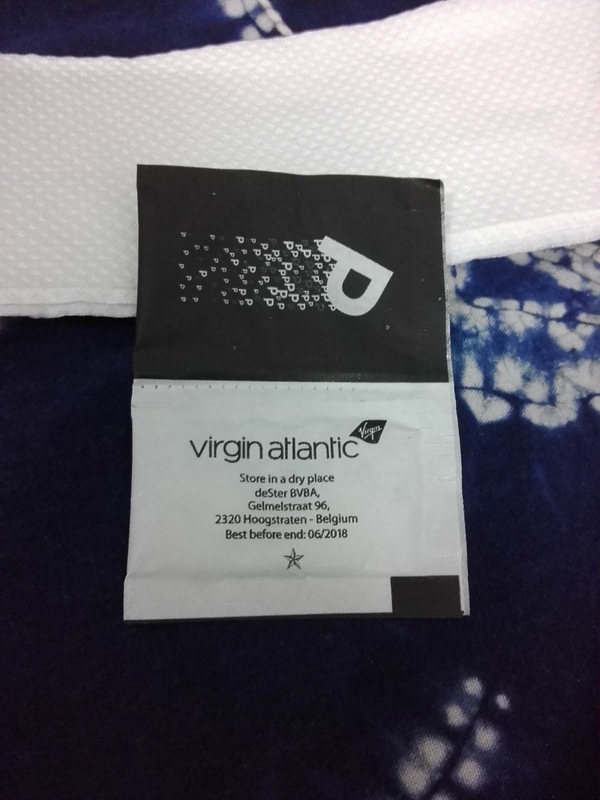 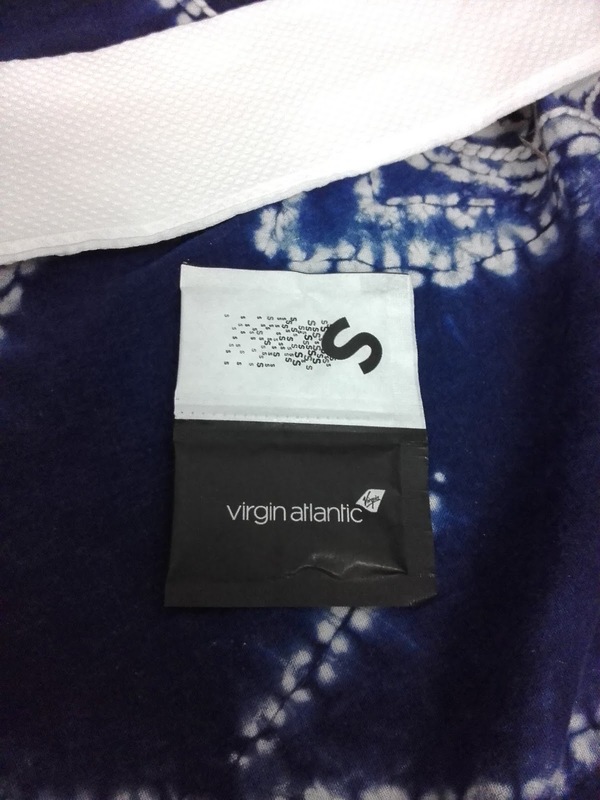 You get a sachet of Salt and Pepper which comes in a nice black an white design.